Maui might be an ocean away from the glamour of Hollywood Hills, but once a year, the two are closer than ever with the Maui Film Festival! If you are a movie buff or want to spend magical nights under the stars watching original movies, then this open-air event is for you! Partake in cinema festivities and attend premieres, film panels, and more! Read on to learn more about this amazing event and start planning your trip today. 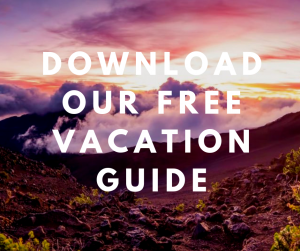 Enjoy the rest of Maui during this incredible week and get access to our free Destination Guide. It offers recommendations for local restaurants, shops, outdoor activities, and even more events! If you’re familiar with the movie world, then the Maui Film Festival is the island equivalent of Sundance Film Festival. Not only do you get to enjoy one of the most beautiful backdrops on Earth, but you also get to watch some of the newest and artful releases of the year. Created in 2000, the festival has hosted some of the most famous actors and directors, including Colin Farrell, Pierce Brosnan, Clint Eastwood, William Hurt, Claire Danes, Tim Burton, Rob Reiner, and more! The festival lasts five days in June and screens around 50 movies. You can decide which are your favorites and see if they win awards! Actors, actresses, and directors receive prizes if the jury selects their film. Even though it welcomes well-known guests, the festival prides itself in being very intimate and low-key. Don’t forget to bring your flip-flops and lawn chairs, and get ready for a laid-back and extremely fun experience! All the Maui Film Festival venues are outside, with the Celestial Cinema as the centerpiece. You can sit back and relax on the grass of the Gold and Emerald Golf Course as you watch a movie on the 50-foot screen! Screenings only happen at night, so you can enjoy a gorgeous moonlit starry sky. On top of screenings, you can enjoy a variety of culinary events and taste some of the most flavorful products of the island. Don’t miss the Taste of Chocolate event at the Grand Wailea! At this event, some of the most prestigious chefs gather to create delectable desserts. If you have a sweet-tooth, you won’t be able to resist! 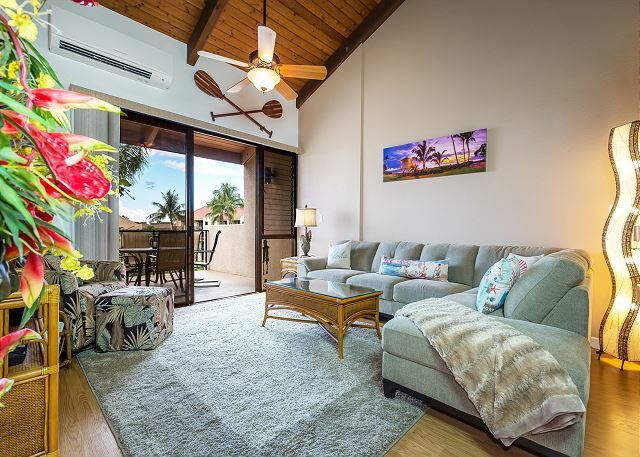 It’s Time to Find Your Perfect PMI Maui Home! You’re coming to one of the hottest film festivals on the island, so it’s only fair to find a dreamy home to stay in! 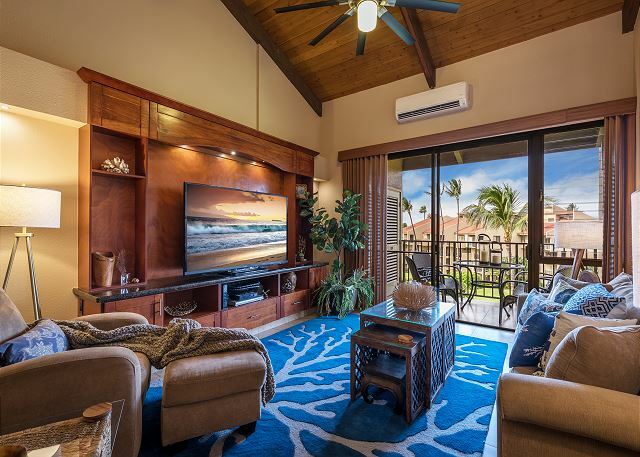 Lucky for you, PMI Maui has a wide variety of wonderful units to offer you. 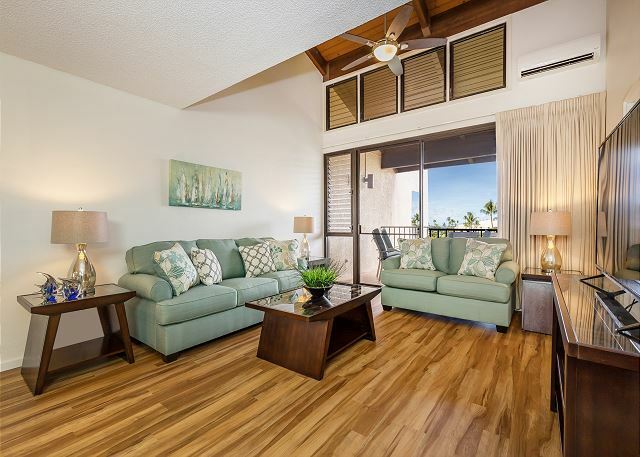 Discover our marvelous Kamaole Sands 7-404 and fall under its spell! 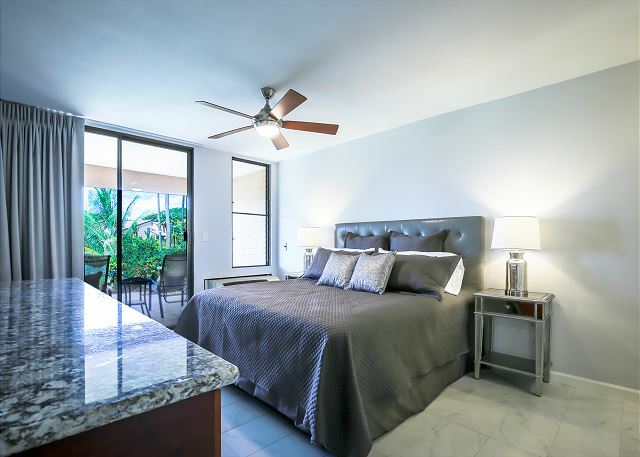 This spacious 2-bedrooms and 2-baths condo sleeps up to six people and offers beautiful garden views. 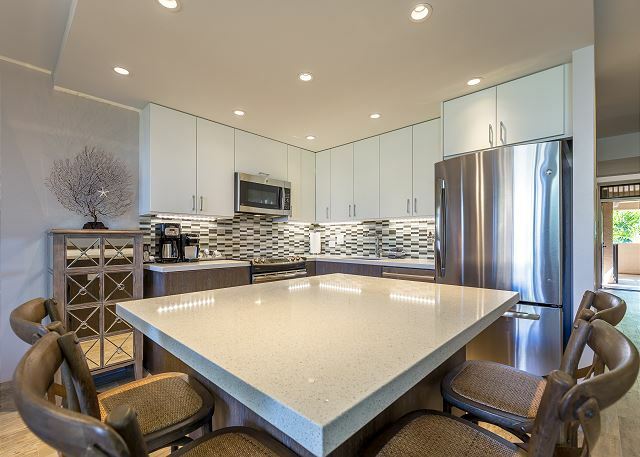 You’ll love the wood details and ocean-inspired decor, as well as the luxurious, fully-equipped kitchen. In the morning, sit around the granite-top counter to drink some freshly-squeezed orange juice, or take a cup of coffee outside and enjoy it on the balcony. After the festival, slip into a comfy robe and dream the night away on your plush king-bed.